January 2019 – Open Arms Free Clinic, Inc.
(Lake Geneva, WI) February 20 & 22, 2019 – As the cold and snow settle around us, it does the heart good to remember that February is the month of love. So what better time to bring you a production about one of the most famous couples in theater! No, not Romeo and Juliet, but Felix and Oscar. Well, almost Felix and Oscar. The Geneva Theatre Actors Guild will be performing the female version of the play “The Odd Couple”. The Odd Couple premiered on Broadway at the Plymouth Theatre on March 10, 1965 and transferred to the Eugene O’Neill Theatre where it closed on July 2, 1967 after 964 performances and two previews. Directed by Mike Nichols, the cast starred Walter Matthau as Oscar Madison and Art Carney as Felix Ungar. The production gained Tony Awards for Walter Matthau, Best Actor (Play), Best Author (Play), Best Direction of a Play, and Best Scenic Design (Oliver Smith), and was nominated for Best Play. It has subsequently been reincarnated twice as a TV show. In 1985, Neil Simon revised The Odd Couple for a female cast. The Female Odd Couple was based on the same story line and same lead characters, now called Florence Ungar and Olive Madison. The poker game became Trivial Pursuit with their friends becoming the girlfriends: Mickey, Sylvie, Vera, and Renee. The Pigeon sisters became the Costazuela brothers, Manolo and Jesus. The Female Odd Couple opened on Broadway at the Broadhurst Theatre on June 11, 1985, and closed on February 23, 1986, after 295 performances and nine previews. Directed by Gene Saks, responsible for the 1968 film version, the leads were Sally Struthers and Rita Moreno as Florence (Felix) and Olive (Oscar), respectively, with Lewis J. Stadlen and Tony Shalhoub (in his Broadway debut) as the Costazuela brothers. There is no charge for admission, but we recommend a $10 donation. Proceeds from this show will benefit Open Arms Free Clinic. Open Arms Free Clinic, Inc. (OAFC) is a volunteer-driven, donor-supported, community-based non-profit 501C3 organization, with a mission to better understand and serve with compassion the health and wellness needs of the low-income and uninsured residents of Walworth County, Wisconsin. For those without the ability to pay, the Open Arms is the only clinic of its kind in Walworth County, exclusively dedicated to providing both primary care to all of its patients, as well as ongoing care and management to those with chronic disease – all without charge. Since treating its first patient in December 2012, there have been over 2,800 patients served at OAFC with primary and specialty medical, dental, vision, behavioral health, lab and pharmaceutical assistance. For more information on volunteering, donating, or becoming a patient, please visit us at openarmsfreeclinic.org or give us a call at 262-379-1401. The year was 1844. Samuel Morse sent the first electric telegram, James Polk was elected the 11th . President of the United States, and George Williams (of Wisconsin college fame) founded the worldwide YMCA organization…It was also the year that Linn Presbyterian Church was founded! Located near the shores of Lake Geneva, Linn Church (as it is referenced locally) is one of only a handful of regional churches that can claim such a long, strong history. In following, 2019 will be a year filled with celebratory events at the Church, all open to the community-at-large. The first is detailed here! Linn Church’s Valentine’s Feast for Open Arms Free Clinic – Friday, Feb. 15, 4:30-7:30pm. Freewill donation, all welcome, no reservations required. Come one and all for the church’s legendary spaghetti-and-salads benefit dinner, complete with breads from Simple Bakery of Lake Geneva – and, of course, home-made desserts! 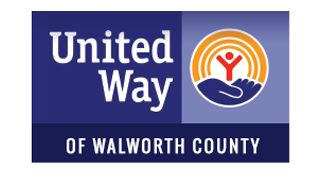 Families and individuals of all ages in Walworth County are invited to come enjoy this never-too-late Valentine of a feast, with music and fellowship included. The feast, coordinated by church volunteers, will be held at the Church, W3335 Willow Road, Lake Geneva in Linn Township. Freewill donations on this night will help support Open Arms Free Clinic (OAFC). Located in Elkhorn, Open Arms is a volunteer-driven, donor-supported, non-profit 501C3 organization serving hundreds of low-income and uninsured residents of Walworth County with much-needed primary and specialty medical, dental, vision, and behavioral health services, as well as lab and pharmaceutical assistance. Information about the clinic can be found at www.OpenArmsFreeClinic.org. Come eat, enjoy, and give as you can for Open Arms! Linn Church is located at W3335 Willow Road, Lake Geneva in Linn Township. Services are held Sundays at 10 a.m, led by Pastor Terry Hennesy. In addition to benefits like this one, the church has a multi-faceted outreach program, including free afterschool childcare on Wednesdays and early school release days. Self-described as “A Traditional Church with a Contemporary Vision”, the Linn Presbyterian Church invites people of all ages and spiritual backgrounds to attend its services and events, and participate in its outreach programs. For more information on any or all of Linn Church’s 175th Anniversary Year events, please call the church office at 262-248-1588 or visit the church website at linnchurch.wordpress.com.